Draper offers a thriving community close to both the city and beautiful recreation areas. 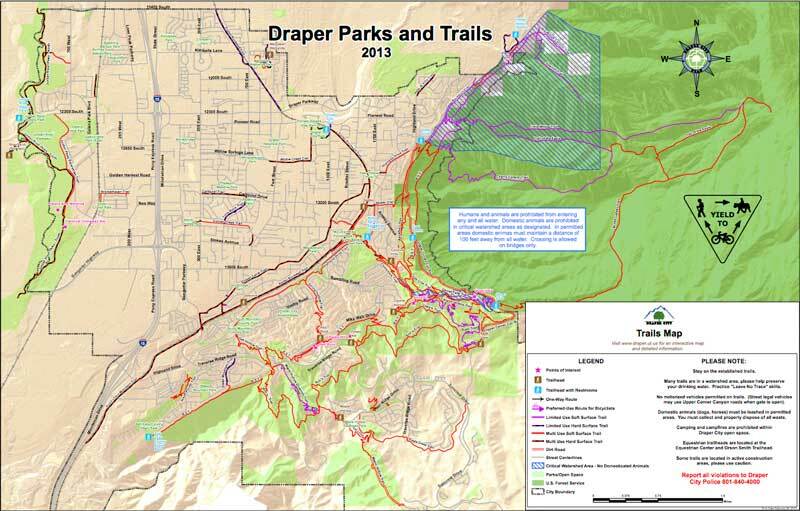 Draper City maintains more than 35 parks and 80+ miles of trails. Many of the parks are available to rent for parties or events. One of the amenities residents have named in surveys as very important to them is trails. Draper City has more than 88 miles of trails for cycling, hiking and horseback riding. The trails interconnect and can take you from town up into the foothills of the Wasatch Front. The city recently preserved more than 1,000 acres in Corner Canyon and partnered with Salt Lake County and Sandy City to set aside 2,000 acres along the Bonneville Shoreline Trail. Many trails offer breath-taking views of the Salt Lake Valley. 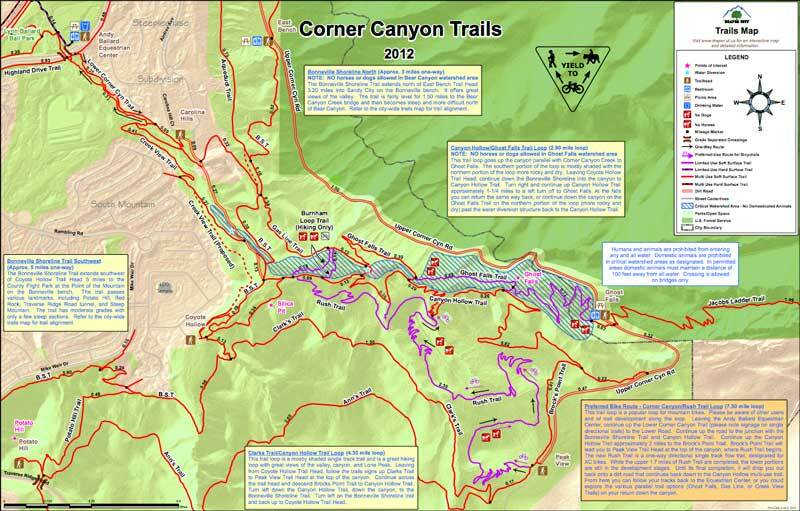 Corner Canyon is nestled in the foothills below the Lone Peak Wilderness Area, in the "corner" between the Wasatch Range and Traverse Ridge. It offer a variety of trails for hikers, bikers, and equestrians, and provides public access to the Bonneville Shoreline Trail.